Mar. 22, 2013 7:00 p.m.
On March 12th, 2013 the Thorsby and Breton RCMP responded to a 911 dispatch to a rural location near Warburg. The resulting investigation revealed that a 58 year old male had lost his footing while operating heavy farm machinery and slipped into the mechanisms. The male from the Calgary area, tragically lost his life as a result of his injuries. The circumstances, brings to bear the reality of working in close proximity to such machinery and the heavy costs of a moment distraction. The RCMP would like to emphasize that safety be foremost in minds of all whom make a living with or around heavy machinery. The 58 year old was an experienced operator of the equipment that took his life. On the morning of Tuesday March 12th, 2013, Wetaskiwin city workers located several incidents of mischief that had occurred throughout the night. City workers noticed the main doors at the By The Lake Park building were damaged. Staff located four separate breaks to the glass that appeared as if shot. Upon entering the building, staff located a mirror broken inside the men’s washroom. The mirror had the same damage that the main door glass had suffered. The approximate cost of the damages are $675.00. City workers also noticed four pot lights broken at the main entrance of the Wetaskiwin Public Library. These lights are recessed into an overhanging roof that is approximately fifteen feet in the air. The approximate cost of the damages are $120.00. It is believed that these incidents may be related. As these are public facilities that are being damaged, everyone in the community is affected by the careless damage. Police are asking anyone who may have witnessed and/or heard of anything to please come forward and share their information. Anyone with information with regards to this incident or any other incident are asked to call the Wetaskiwin RCMP Det at 780-312-7200 or Crime Stoppers at 1-800-222-TIPS (8477). Crime Stoppers does not require you to reveal your identity. 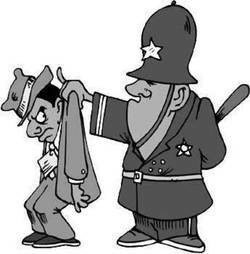 Further, if your tip leads to an arrest, you qualify for a cash reward up to $2000.